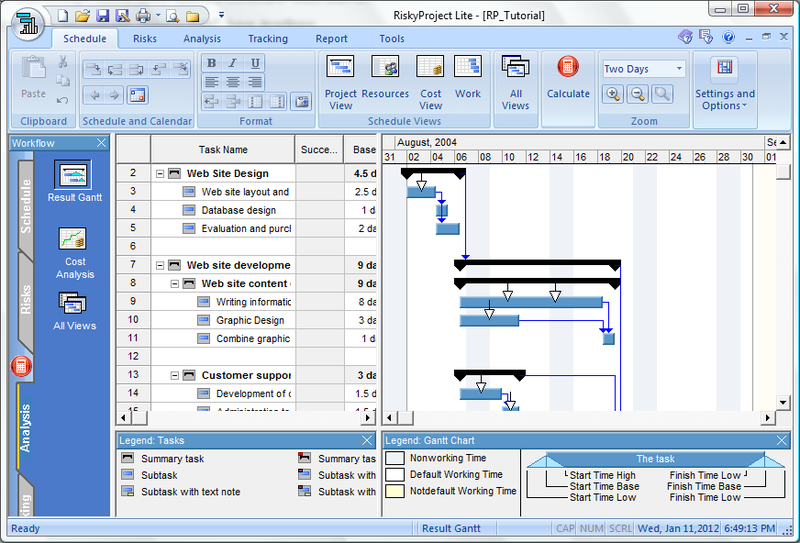 You can perform project scheduling in RiskyProject Lite. RiskyProject is built around its own scheduling system. You can define task parameters, relationships between them, constraints, resources, and cost without using Microsoft Project, Primavera or any other scheduling software. However, if you already a user of Microsoft Project, Primavera, or other project management software, you can seamlessly open project, created by these software and augment existing data by assigning uncertainties to your tasks and projects.